from 1 quart to hundreds of gallons. SS wiper blades, Oil grabbing polymer disk, solid steel construction. Flow rates up to 1+ gph. Deluxe version comes with settling tank for coolant return. Side mount skimmer for hard to get to reservoirs. Flow rates of 1 quart per hour. This skimmer gets the job done in places others can’t! Number one mini belt in the world. 1″ and 2″ wide poly belts, continuous duty motor with high temperature versions available. This unit is rugged, quiet and dependable. 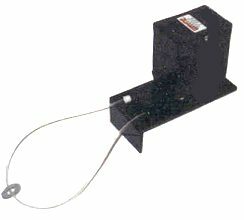 We off er 4″, 8″, 12″, & 16″ Oil grabbing belt skimmers. 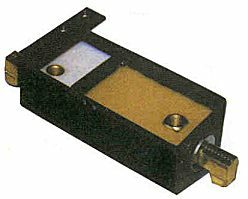 These skimmers work in high temperatures, and are heavy duty, industrial quality and priced well below the competition. (Left) Plug in timer with four time setting allows for skimmers to be automatically programmed for a 24 hour cycle. (Right) Ground fault interrupter protects against electrical shock. Oil/Water Separators – save your precious coolant while you dispose of the oil.